a saturday smile: Get to work. 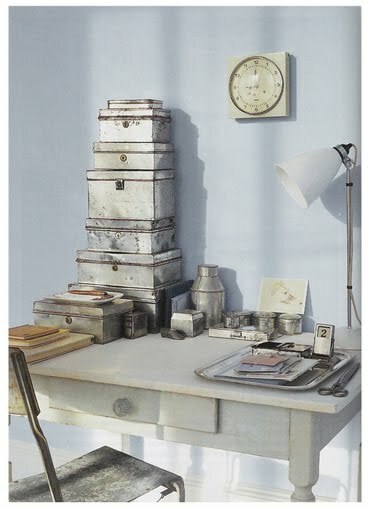 I think staying organized and clean is the first step to an uninhibited sense of creativity. These awesome work stations not only keep your stuff straight but your thoughts. A cluttered space means a cluttered mind. Antique egg baskets and vintage wire hanging baskets make great stylish storage for craft supplies. Also, a towel rack or paper towel holder makes a great ribbon rod. These old wooden crates look amazing up on the wall. They provide sturdy bookshelf quality storage. Tin pails work great for storing writing utensils. 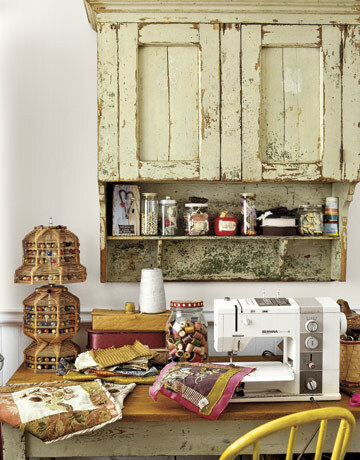 All in all, your craft room should reflect your own personal sense of style. In order to be creative, you need to be surround by things that inspire you. 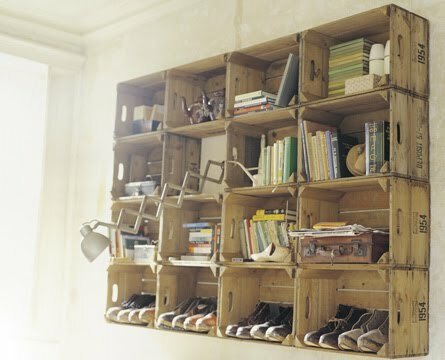 Ditch those ugly plastic storage containers for more unconventional storage ideas. Make burlap bulletin boards. Use antique ceiling tins for magnet boards. Find an antique library card catalog for organizing tools. 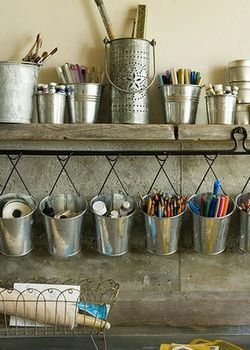 Use old muffin tins for small item storage like beads or buttons. 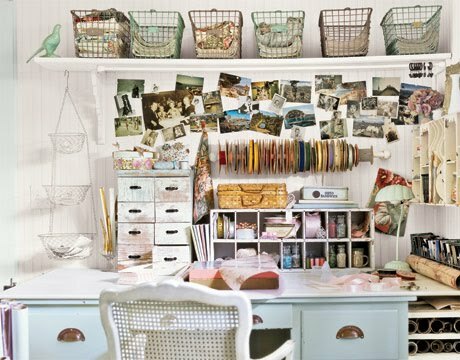 All of these ideas make for a very inspiring, stylish, and organized work space that you will never want to leave.